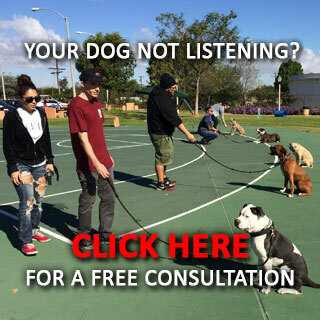 Through years of education and experience in working with a variety of dogs and their owners, and through our observation of other training methods, both good and bad, we have been able to create a training method that’s effective and is meant to get dogs to the point that they’ll happily obey commands. The dogs that we train don’t obey because they are afraid of the consequences of disobeying, though. Instead, they obey because they respect the humans in their lives and they feel good when they follow commands and are rewarded as a result. But, again, there’s so much more to dog training than doling out commands and giving rewards to make a dog feel good, and we have mastered the techniques that will make every type of dog one that is willing to listen and show respect to his owners while being a well-adjusted and non-violent canine as well. Before even starting a training program for your dog, you have to understand that canines are pack animals. If you observe wolves in the wild, you’ll quickly see that they establish a hierarchy, with an alpha at the top who is in charge and garners the respect and obedience of all of the members in the pack. Your family is your dog’s pack, and it’s your duty to become the alpha. Otherwise, your dog will walk all over you and make himself the alpha instead. In order to properly train your dog and really get him to respect you, you have to put yourself in your dog’s position and understand the importance of the pack in his life. Only by doing so can you get your dog to obey you consistently out of respect for you. Too many times, owners find that their dogs suddenly stop obeying their commands. This is because they never established a high enough level of respect from their dogs. An alpha demands and gets respect from his pack. And an alpha would never be soft with commands and beg pack members to obey, as many owners end up doing. It is important to note that the majority of dogs prefer to take the role of follower rather than pack leader, so it is a lot easier than you think to make yourself the alpha in your pack after all. Establishing yourself as the leader of your pack is the foundation upon which successful dog training takes place. And as a pack leader, you have to know how to be firm and how to be kind, and when it is necessary to put your foot down and correct your dog so that he understands that you’re the one in charge. But you also need to find ways of rewarding your dog when he does follow your cues so that he understands that good things happen and that he ends up feeling good when he obeys. Only by doing so will you gain your dog’s respect, and that is the key in ensuring you will have a stable relationship with your dog. Bribing and Begging: This is the type of training you’ll encounter at establishments like Petsmart and Petco. The problem is that it relies upon the use of treats and toys to get a dog to do what you want. Canines that are encouraged to perform because of the reward they’re given often become dominant or even aggressive because they’ll decide when they want to perform for the reward that’s being offered. In other words, sometimes a reward simply isn’t good enough. And if there’s no other reason for behaving than getting a treat, for example, they can choose to disobey if they don’t like or want the treat. Unfortunately, many of these dogs become hard to manage and end up abandoned at animal shelters as a result. Forcing and Intimidating: This type of training, also referred to as the “yank and crank” method, uses force and intimidation in order to get dogs to obey. Using only aggressive tactics can certainly get any dog to follow orders in a shorter amount of time, but the result of this training is a dog who’s always in fear of his owners. You aren’t going to gain respect or affection from your dog by using this method. The Right Balance: The two methods above don’t produce dogs that are happy to be a member of your pack. 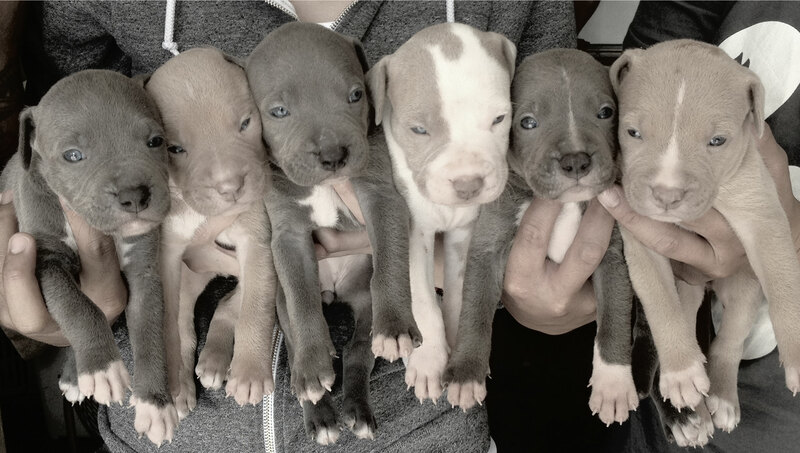 The first method creates dogs who are aggressive or uncontrollable, while the second instills anxiety and fear. The key to a successful training program is found within the balance of these methods. Our training philosophy is one that encompasses the positive aspects of both giving rewards and corrections when boundaries are crossed. We work down the middle so that we can easily move from one method to another, as necessary, without sticking to one method alone. This produces dogs who are well-adjusted, who truly understand commands, and who are happy to follow your lead without having to be afraid or motivated solely by rewards. We can easily break down our training method into a series of phases that include the learning phase, followed by the distraction phase and the correction phase, and finally a maintenance phase. Remember, it’s not just about training the dog; it’s about training the dog owner as well in becoming the pack leader who has the confidence to administer commands and keep the dog under control. In order to train dogs, we make sure to teach them using praise and other rewards, like toys and treats, at the beginning. This is a great way to get your dog to learn commands and realize that good things happen when he listens to his human guardian. Once basic commands are learned, the next step is ensuring your dog will continue to follow through on that command despite any distractions that enter the environment. We work with dogs until they know that they are to follow a command until their owner tells them they can change their course. For example, if we’re teaching a dog to “stay,” we want him to stay even if a child comes into the room and begins to tempt him with his favorite toy. Until we give the command that he no longer has to stay in place, the dog will remain as he is. We don’t correct dogs when they don’t obey because they don’t understand a command, or when they let a distraction get the better of them. Instead, we use tactics to correct the dog’s behavior only when he’s being disrespectful and stubborn; in other words, when he knows that he should be listening but refuses to do so. While we definitely like to use tools like clickers and markers in our training program, we make sure that we also aren’t so passive that our training methods become ineffective once the dog goes home. Instead, we incorporate these tried-and-true tools along with the challenge of distractions so that the training goes far beyond giving commands and awarding good behavior. Our dogs comprehend the commands, follow them because they want to, and know how to ignore distractions so that they can continue to obey at home. In order for your dog to be trained properly, you have to be consistent in your approach. When we train dogs and their owners, we make sure to be clear about how dogs’ minds operate. Consistency is the only way a dog will understand what’s considered good behavior and what’s considered negative behavior. And doling out punishments or letting a dog know that he has done something wrong needs to be done literally seconds after a mistake, rather than minutes or hours later. Dogs need rapid feedback for their actions, good or bad, and owners are only successful when they understand this and continually show consistent behavior towards their dog in terms of praising, rewarding, and correcting. This is how a dog truly begins to learn and comprehend good and bad behavior. Our philosophy is simple: Understand and respect your dog while establishing yourself as the alpha, and your dog will be happy to behave just as you want him to.